Congratulations on finishing Unit 5! Now it is time to test yourself on everything you have learned in the past 25 lessons before moving on to Unit 6. Good luck, and if you have any questions, let us know on our Forum! 1 – 2) Read the following dialogue and answer the following questions. Person 1: 엄마가 집에 언제 올 거야? 1) Which of the following would fit best in the blank above? 3 – 5) Read the following dialogue and answer the following questions. 3) Which of the following would best fit the blank above? 5) Which would not be an appropriate response by Person 1 to Person 2? a) 진짜요? 시험을 다시 볼 만하다고 생각해요? 6 – 7) Read the following dialogue and answer the following questions. 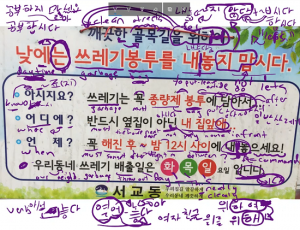 6) Which of the following ways to express “비슷하다” could be used to replace the underlined “비슷하다” said by Person 1? 7) Which of the following would be appropriate to place in the blank above? 8 – 10) Read the following dialogue and answer the following questions. Person 2: 그 남자에 대한 생각을 빨리 버리고 못생긴 사람 _______ 만나야 돼! Person 1: 그러면 빨리 소개해 줘! 8) Which of the following sentences has the same meaning as the underlined sentence said by Person 1? 9) Which of the following would be appropriate to place in the blank above? 10) Which of the following best describes this situation? 11) Which of the following grammatical principles could replace the underlined section below? What does this person conclude? 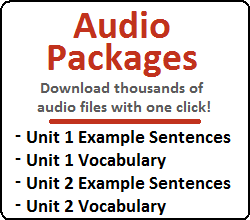 What did the listener most likely do immediately before the speaker said those sentences? Based on the conversation, is learning Chinese hard? Who is going to Busan? 23) 트림하지 마라니까! 밥을 먹으면서 트림하면 너무 더러워! 24) Man: 중국어를 배우는 게 어렵지 않아요? 25) Woman: 어머님께서 서울에서 부산으로 언제 출발하셔요? And with that, you are finished Unit 5! Was the test too difficult? 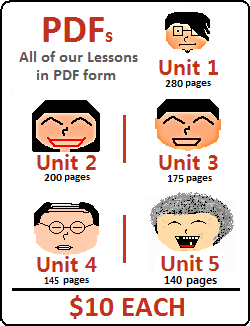 Feel free to ask us any questions or go back to and of the Lessons in Unit 5 to review something. 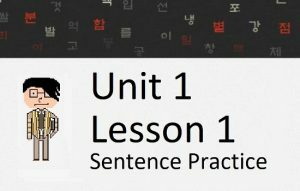 You can now move on to check out the first set of lessons in Unit 6. Or, go directly to Lesson 126.